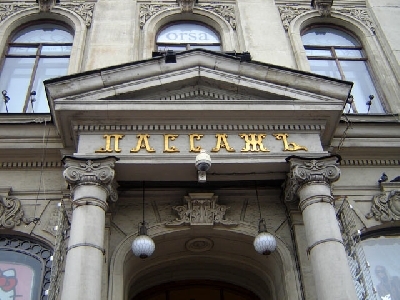 "Passage", is located in the historic city center. It was opened for the customers in 1848. 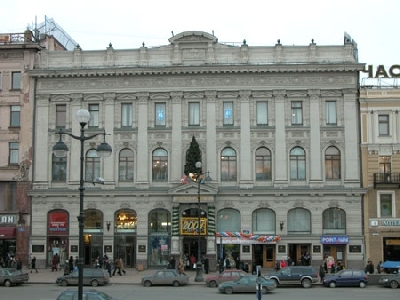 Today, the "Passage" is a monument of architecture and modern shopping complex with a half-century history. 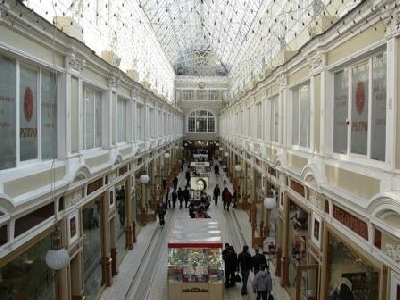 "Passage" is visited by more, then 10000 people, and at pre-holiday time, the consumers quantity increases threefold. Service level increases constantly as well; collections are updated, assortment is always expanded. The following categories of goods are represented here: clothes, footwear, leather goods, accessories, cosmetics, perfumes, antiques, gifts, tableware, furnishings, china ware, crystal, watches, jewelry, furs, and other groceries. Also in store there are ATMs, POS terminals, cafe, beauty-salon, travel agency, jewelry shop, and others. You can not only make shopping but also spend a good time here.